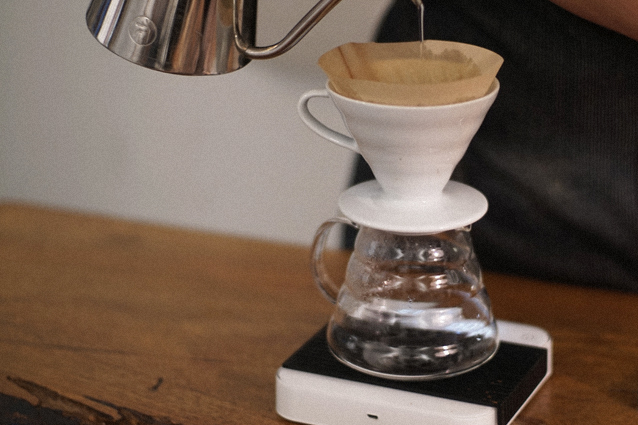 Widely recognized around the world, the V60 pour over. Why the cone shape? The cone shaped paper filter adds depth to the coffee layer, so that the water flows to the center, extending the amount of time it is in contact with the ground coffee. Fold paper filter into cone-shape and give it a thorough rinse in brewer. Ensure the paper affix evenly onto the brewer’s side. Discard the water. 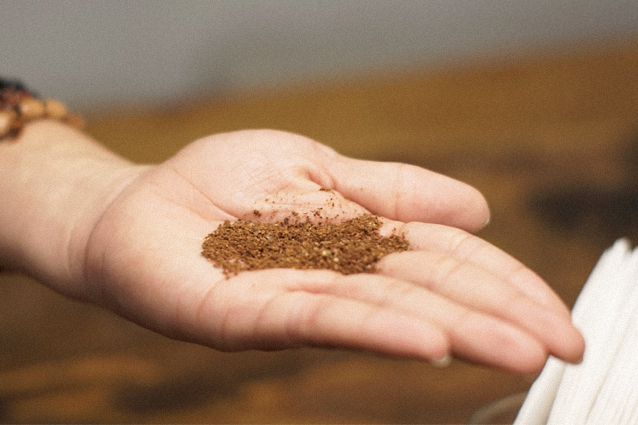 Grind the fresh coffee bean as coarse as sea salt or ask our barista to do it for you. Add 15 grams (approx. 2 tablespoons) of coffee to your brewer. Hit start on timer or press play on your music player. Fill the brewer with enough water to saturate the grounds. Stir gently to ensure there is no dry clumps. 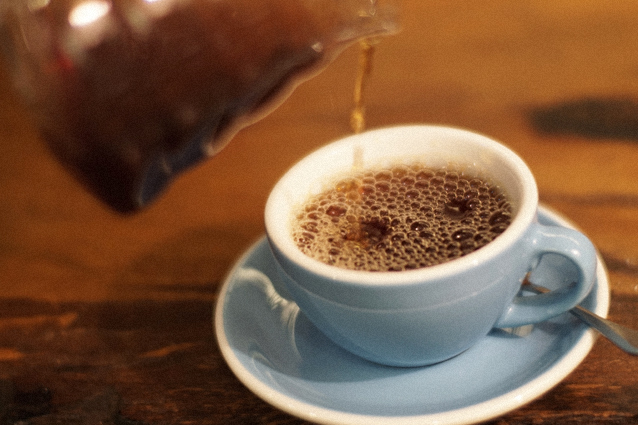 Allow a 30-seconds pause (or 5 lines of your song) for coffee to “bloom”. Pour the remaining water in 2 or 3 equal parts. Slowly pour in spiral motion to evenly extract the coffee grounds. Pause to allow the waterline to drop but avoid letting the ground dry. Remove brewer when the song finished (2-mins). Don’t go to sleep yet, enjoy your coffee!